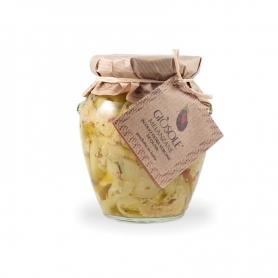 Ricetta imaginative and innovative than the classic recipe:greedyand very rich blends with vegetables sweet and aromatic presence of apples and pears. 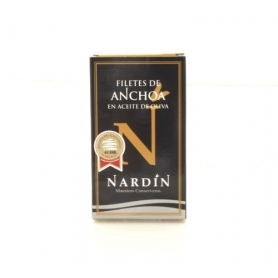 It satisfies the palates in search of satisfaction. 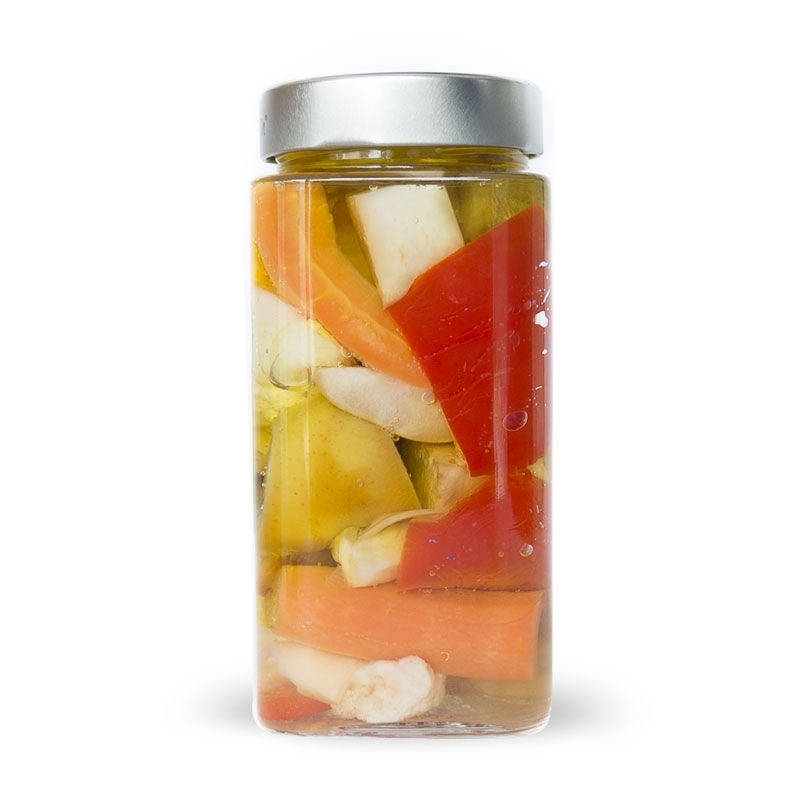 There Giardiniera John it differs from the others gardener to the use of unusual vegetables such as Jerusalem artichokes and celeriac in autumn and winter; trumpet peppers and cucumber or cabbage romanesco in summer. 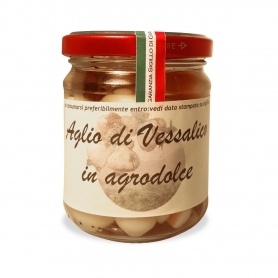 An evolving recipe, which changes along with the seasonal vegetables. 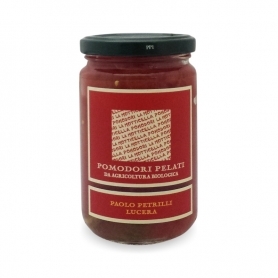 Recommended combinations:tasty sausages or cooked meats,mortadella, boiled or baked fish. 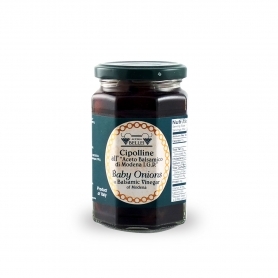 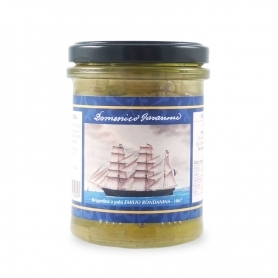 Excellent with a bloomy rind cheeses or medium-aged cheeses. 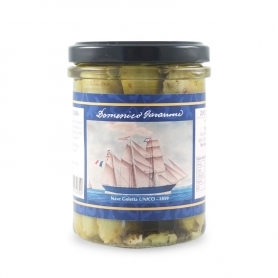 perfect with white meat backyardgrilledand boiled. 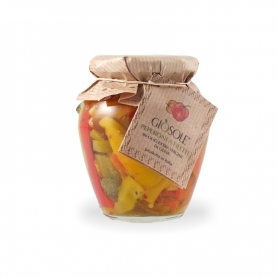 There Giardiniera John It is characterized by the genuineness of the ingredients that are selectedfrom partner farms that grow organic certificate regime. 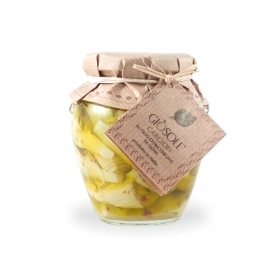 Careful selection and uncompromising to ensure that the gardener is always tasty and crunchy. 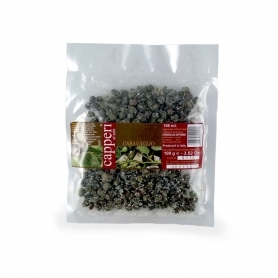 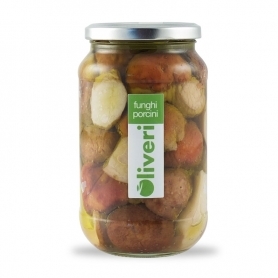 FurthermoreThey are processed in the traditional way to maintain the flavor of the vegetables. 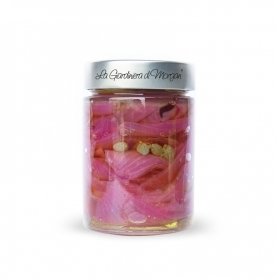 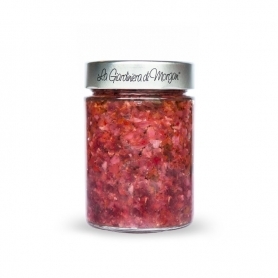 The company The Giardiniera Morgan It was established in 2005 by the creativity of Morgan Pasqual and his wife Luciana. 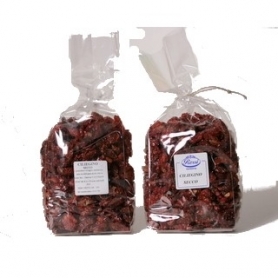 Everyspecialties takes the name of each family member. 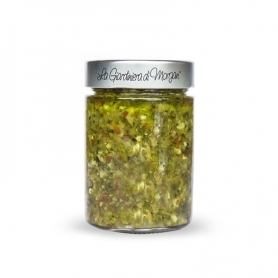 The founder and the first created is the Giardiniera Morgan breadwinner: a crisp recipe, fresh and innovative. 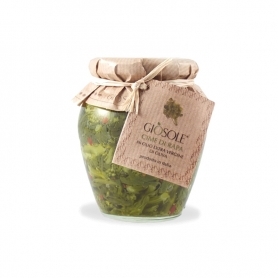 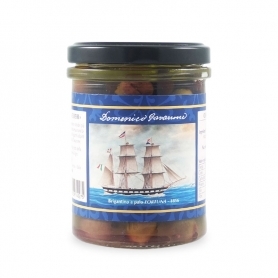 Then they created the Giardiniera Luciana: Mom, that seeks to restore the balance in the family and "smooth edges" with a tasty recipe with smaller denominations. 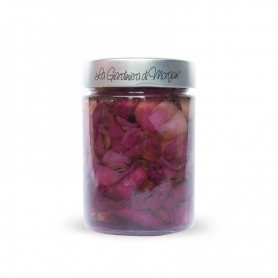 Giada Maria, the eldest, a fanciful and colorful girl, the recipe is more diverse, with a vase from the blue cap as his eyes. 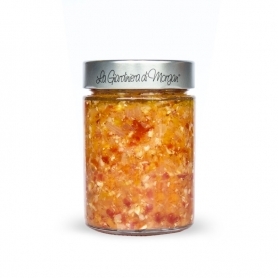 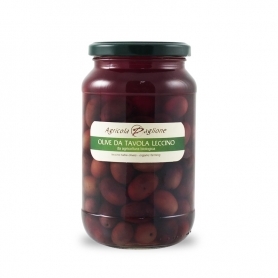 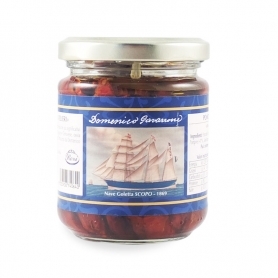 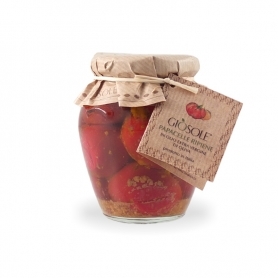 Anna Paola, the second child of strong character, have dedicated a sour and spicy recipe, with fresh ginger and chilli in a small jar and pot-bellied. 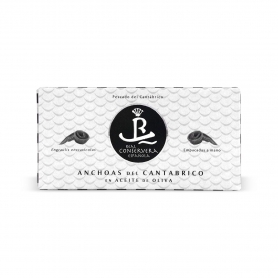 For John, the little imaginative and exuberant home, have created a sweet and aromatic recipe, thanks to the union of vegetables and fruits. 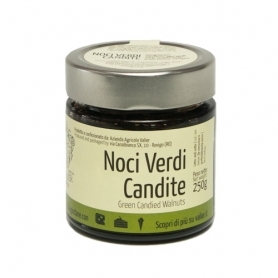 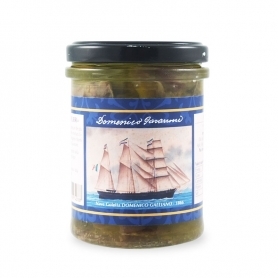 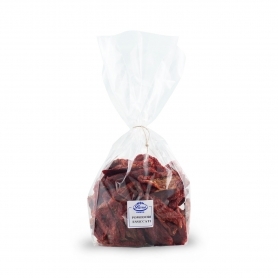 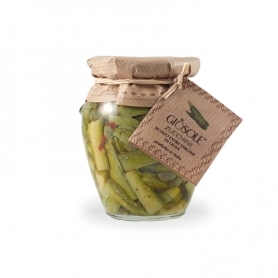 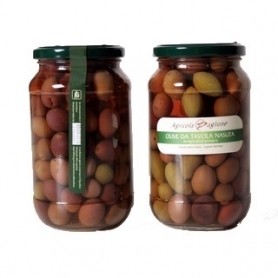 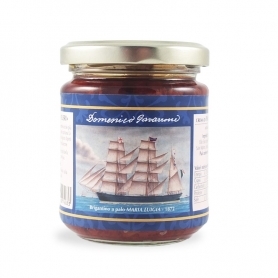 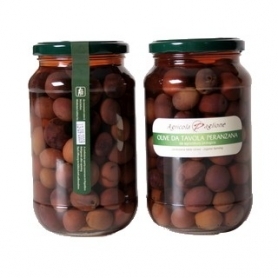 Discover all products in the category "Conserves and Pickles"